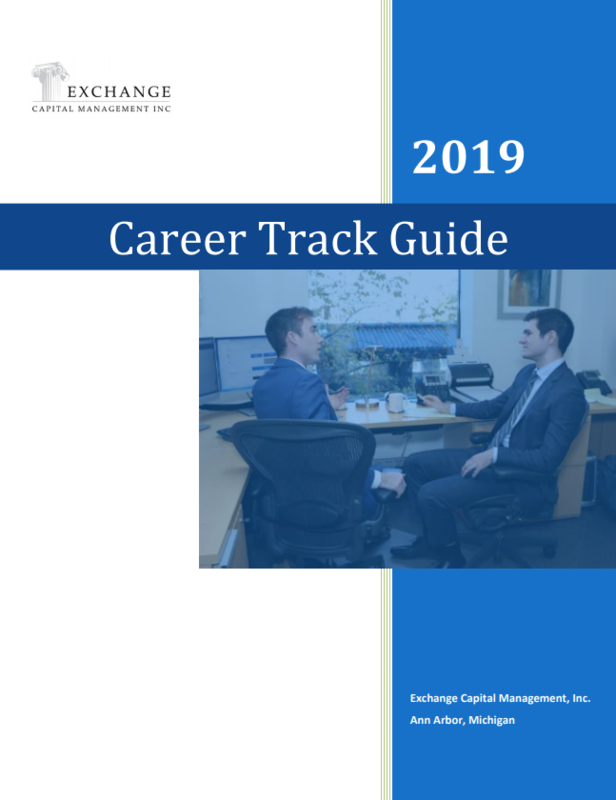 If you’re interested in learning more about one of the full-time positions posted online or our summer internship opportunities through either the University of Michigan Ross School of Business or Michigan State University, please email a PDF copy of your resume and cover letter to ecm@exchangecapital.com. Please include the job title (e.g. Intern) in the subject line. You can also read the detailed descriptions of the positions offered at our firm in the Career Track Guide below. We welcome anyone who wants to be part of our Financial Team here in Ann Arbor!